We Buy Houses Fast For Cash In Columbus, Ohio! We Buy Houses With A Fair Cash Offer At Any Price And Any Condition. It Doesn’t Matter What Your Situation Is. Our Process Is Easy. You Will Get An Honest Offer For Your House. We buy houses for cash and we’re ready to hand you a fair all-cash offer. We have funds ready to purchase more houses. We buy houses regardless of the condition or in other words in ‘as-is’ condition so you don’t have to make repairs. Our team takes care of that after the sale is done. Talking about closing, we can close in 7 days because our cash offer gives us the ability to skip the financing step which speeds up our closing process. Stop the frustration of your unwanted property. 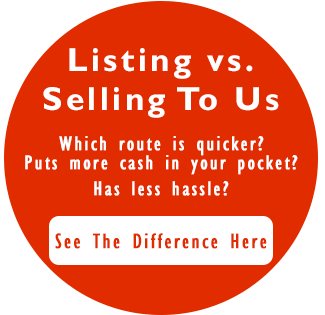 We can help you sell your home quickly because we can buy it directly from you. We listen to your particular situation and explain how our offer gives you options even if you are dealing with a distressed home. We have helped countless people, find a solution to their housing problem. 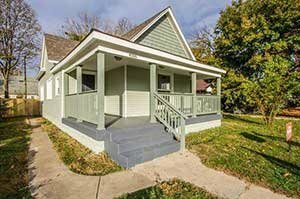 Bad tenants and want to sell. House stuck in probate process. Agent can’t sell your house. Inherited a house but want cash instead. If you have a house that is causing you sleepless nights, then we would like to help you by taking that stress away. We can give you a fair all-cash offer to purchase your property. That could relieve some of the stress in your life and makes things easier on your situation. No one wants to go through a housing crisis, so we try to help you avoid that result. And when we pay cash, you can choose the closing date. No waiting or wondering when the closing will finally take place. No waiting for a bank to approve a loan or to release funds. You can simply show up at closing next week and pick up your check. Then head over to the Harvest Bar + Kitchen to enjoy some dinner and drinks to celebrate the sale of your home. How To Sell My House Fast in Columbus, Ohio. Using a real estate sales agent to sell your home can take a really long time. Many people do not want to pay high commissions or wait for months to see if a buyer will come along. Showings and open houses can be a real pain in the process as well. We have streamlined the home selling process. With our cash offer, we are able to close the sale of the house in a fraction of the time compared to selling through a real estate agent. We can close in as little as 7 days! There is no hassle, obligation or pressure involved in the process. You decide if you want to sell to us. Because of the cash offer, we don’t have to wait around for the bank to go through the financing process. We have cash that substitutes in place of the financing process which cuts down on the time needed to sell. Plus you won’t have to deal with any showings, repairs or setting up a bunch of meetings with your agent. So you don’t have to pay closing costs, commissions or other fees with our offer. No Waiting Around, No Repairs, No Commissions! Are you wondering “how do I sell my house fast?” Look no further because we can buy your house quickly with our cash offer. Maybe we can help by giving you a fair written offer to buy your Columbus property. Our crews can do any repairs or painting that it may need. You get cash at closing and will no longer be tied down with that property.